Hello! My name is Nick. 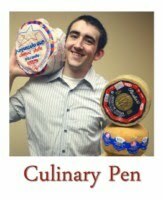 I write about food on my blog Culinary Pen, which is both for sharing ideas and experiments and to document my experiences in testing any given recipe. My focus is always to better understand food, and the culture and history behind it. I love cooking, but I also love to talk about the processes involved in cooking. I've designed and taught classes on making cheese with raw milk, wine/beer and cheese pairings, and in cooking with cheese. November 2013: Visited Underground Meats in Madison, Wisconsin after donating to their Kickstarter "Open Source Food Safety Model." This was a three day stagiaire of breaking down Tamworth Hogs, curing whole muscles, and making both pork and goat salami. 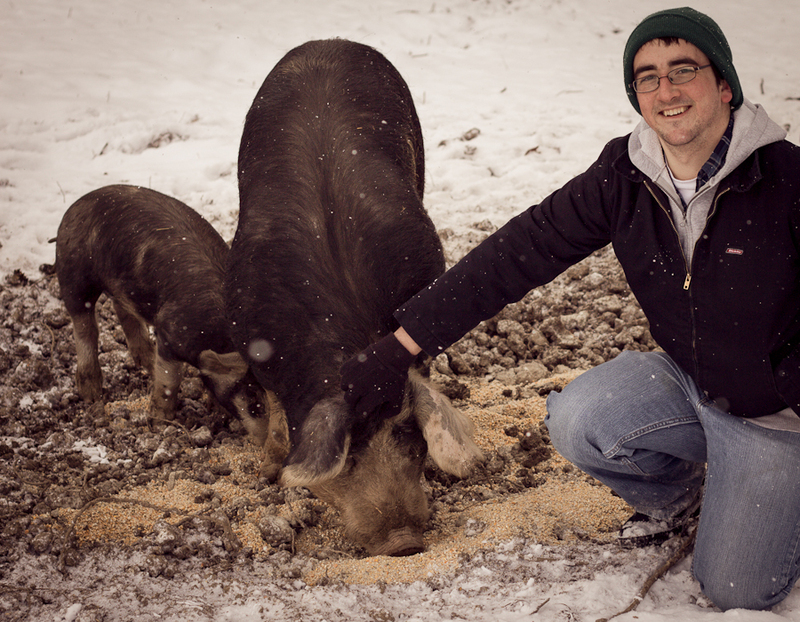 November 2011: Attended Mosefund Farm's Mangalitsa Pigstock Workshop. A three day heritage pork butchering and curing workshop taught by Christoph Weisner, President of the Austrian Mangalitsa Breeder’s Association and his wife, Isabel. November 2011: Designed and taught a hands-on "Introduction to Raw Milk Cheesemaking" class at Village Acres Farm in Mifflintown, PA.
April 2010: Completed Artisanal Cheese's Master Class, a 3 day training in NYC for food professionals, taught by renowned cheese affineur, Max McCalman. I also write for North Woods Ranch, run by Oliver and Jodi Griswold. Along with being incredibly wonderful people, they have the added benefit of raising some of the best pork and beef available. Ultimately, I'm hopeful that people will realize the value in keeping old food traditions alive. You may not want to do some of these recipes on your own, but to me it's still important to keep that knowledge alive, in use, and ready to pass to the next generation. Hi, about the jar with anchovies in chili oil: I use them a lot in all kind of sauces but I use a stick mixer to grind them down. For example with balsamic vinagre and soy sauce or in a red pepper and tomato sauce and a bit of canola oil. Give it a try and see what you'd like it for!